Aston Martin, premium British sports car maker has launched V8 Vantage. The car is a perfect blend of comfort, performance and sleek looks. Want to enjoy a perfect drive? 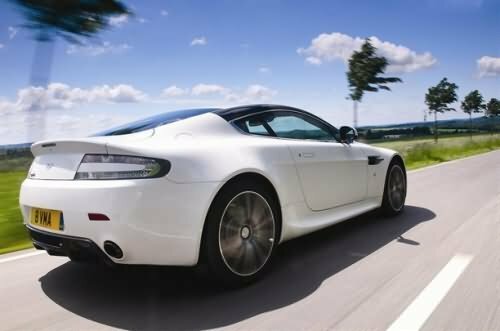 ….. hold on to your spleen……here comes Aston Martin V8 Vantage. Appearance: Aston Martin V8 Vantage has gorgeous exteriors. The two seater car has bonded aluminium structure. The exterior of two door coupe comprises of Halogen projector headlamps and LED rear lamps. The alloy wheels give a sturdy look to the car. 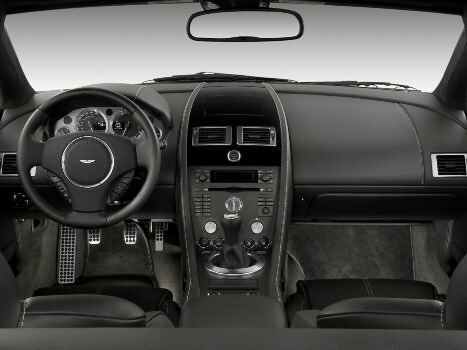 Comfort: Aston Martin V8 Vantage has various comfort features. The car has full grain leather interior, Electrically adjustable seats, powerful A.C. with automatic temperature control, Organic Electroluminescent (OEL) displays, a hi-tech audio system,personalized sill plaques, Auto-dimming interior rear-view mirror, memory seats and exterior mirrors, heated seats, ashtray and cigarette lighter. Other comfort features include powerfold exterior mirrors, Cruise control and front parking sensors. The large wheel base provides enough space inside the car. Safety: Aston Martin V8 Vantage has advanced safety features. The standard safety features include dual-stage driver/passenger front airbags, side airbags, LED map reading lights, tyre pressure monitoring, alarm and immobilizer. Other safety features include Remote-control central door locking and boot release, battery disconnect switch, Dynamic Stability Control (DSC), Anti-lock Braking System (ABS), Electronic Brakeforce Distribution (EBD), Emergency Brake Assist (EBA), Positive Torque Control (PTC) and Traction Control. Engine: Aston Martin V8 Vantage is powered by a ferocious hand-assembled 4300 cc V8 petrol engine which produces a maximum power of 380 bhp and a maximum torque of 41.75 kgm. 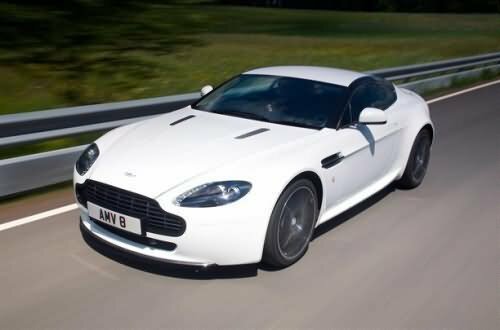 Price: The price of Aston Martin V8 Vantage is expected to be Rs. 1 crore. However, the price specified is indicative price only and reflects lowest approximate price which excludes tax, registration, insurance and cost of accessories.